Peter Burns and Mary Noonan both graduated in MFA at NCAD in 2009. Their exhibition at the Claremorris Gallery, County Mayo (until November 15) features works that conjure up a world both literally and metaphorically ‘beyond the pale’. Burns explores classical mythology and literary themes and Noonan delves deep into Irish folklore. View more images at the gallery website and read the accompanying essay by Gallery Director Rosemarie Noone here. This entry was posted in Articles on Painting, Outside the Pale and tagged Mary Noonan, Peter Burns on October 25, 2013 by painttube. 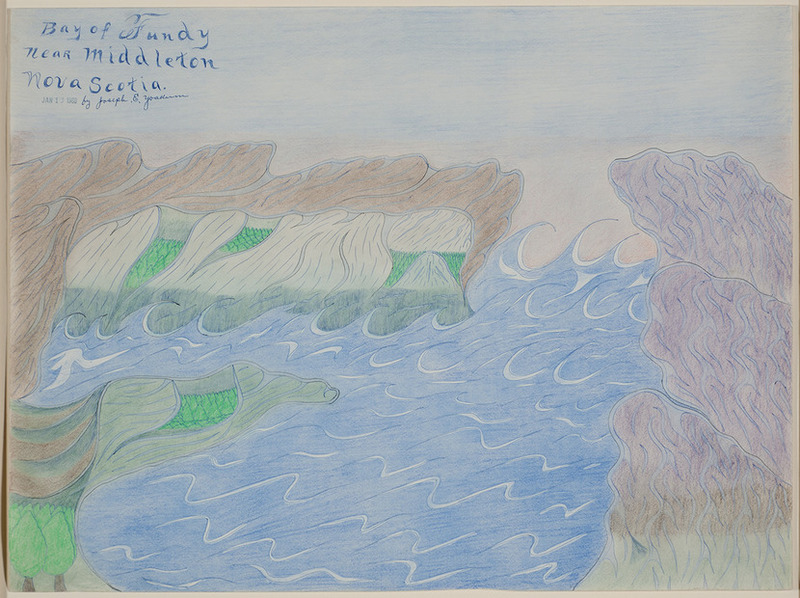 Interest in outsider art is reflected in current and recent shows world-wide. 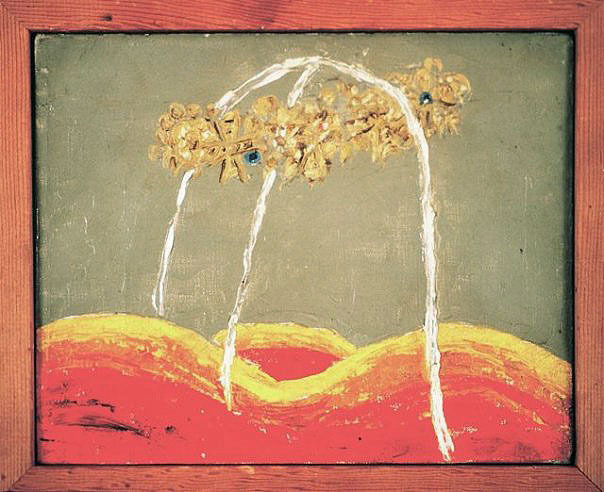 Forrest Bess (see earlier painttube post here) is subject of a retrospective at the Hammer Museum, Frank Walter showed recently at Douglas Hyde Gallery Dublin, and two outsider artists are included in this years Carnegie International. Like Bess, the Antiguan artist Frank Walter, lived in isolation and followed a deeply personal vision. The small DHG show, presented with the support and assistance of Ingleby Gallery, Edinburgh, made a big impression. The works appear to be the result of an urgent and intuitive need to communicate, and were popular with painters, I think, because they avoid mannerism and cleverality. The 2013 Carnegie International features work by Guo Fengyi and Joseph Yoakum. Click on the names to go directly to their pages on Carnegie website. The image at bottom is from the Frieze Art Fair via Long March Space. 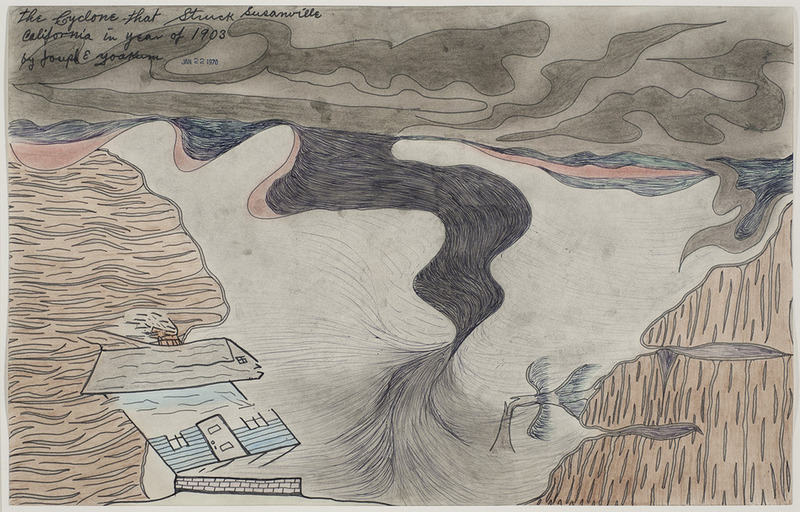 Joseph Yoakum, The Cyclone that Struck Susanville California in Year of 1903, 1970, pencil, ballpoint and felt pens on paper, 12×9 in. 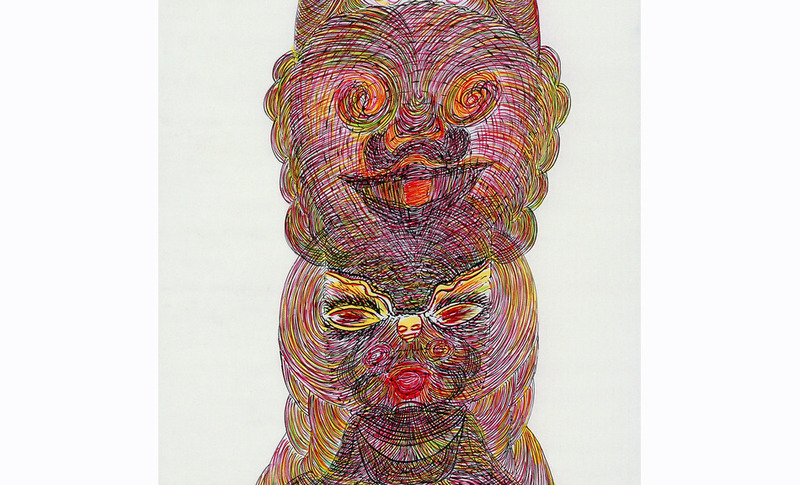 Guo Fengyi, Avalokiteshvara, 68.2 x 189 cm. 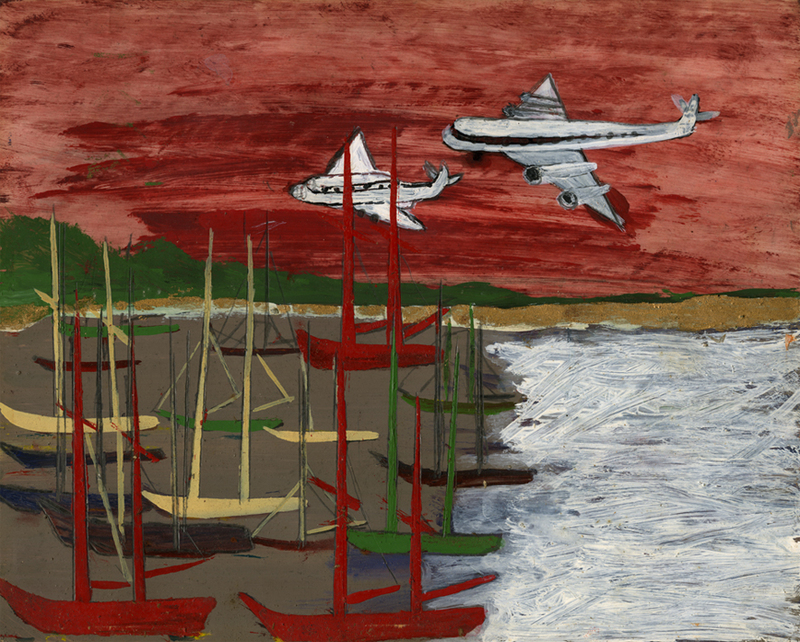 This entry was posted in Outside the Pale and tagged Forrest Bess, Frank Walter, Guo Fengyi, Joseph Yoakum, Outsider art on October 24, 2013 by painttube. 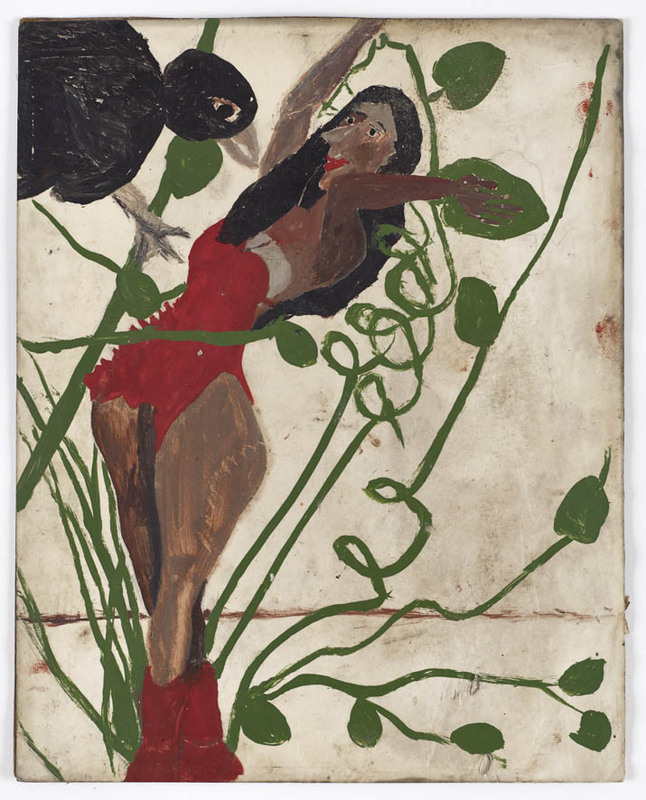 Robert Gober curates a show within a show of Forrest Bess at the Whitney Biennial, and forty-three Bess paintings are currently on view at Christies, NY. This makes for a rare opportunity to consider the strange, reclusive and under-appreciated artist. 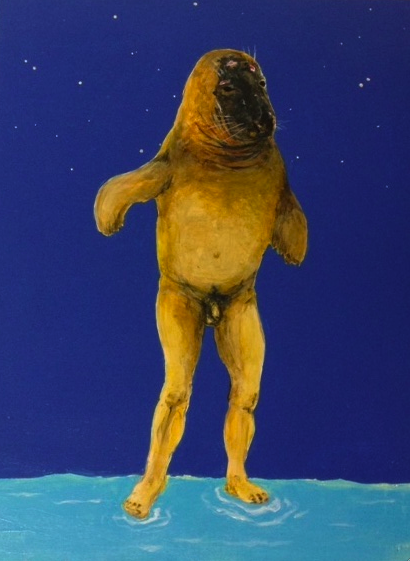 The Whitney is mostly lamentable in terms of contemporary painting, with the exception of Nicole Eisenman, but Forrest Bess emerges as a figure of considerable interest. 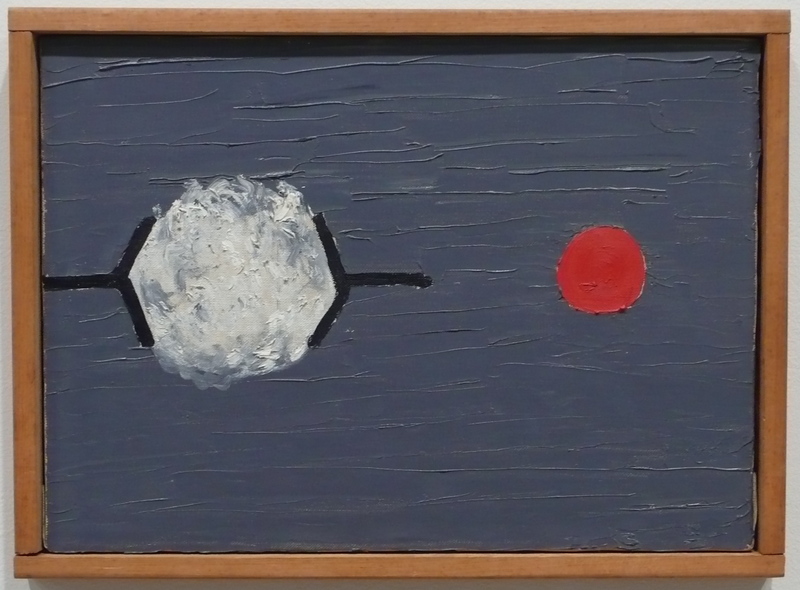 His small works have an intensity and persuasiveness that speaks to contemporary artists. He has been associated with artists called ‘visionary’, and he presents images of visions and dreams from the back of his eyelids in an economical language of personal symbolism somewhere between figuration and abstraction. It dares to propose that modest, idiosyncratic and eccentric strategies can produce work, which is deeply compelling and endlessly fascinating. This entry was posted in Outside the Pale, Paintings As They Are and tagged Forrest Bess on March 17, 2012 by painttube. The term ‘Sunday Painter’ suggests a dabbling in the practice of painting for spare time amusement and those labelled as such tend to get dismissed in contemporary art circles as ‘amatuers’ and ‘hobbiests’. However, in the late 19th early 20th century the professionalisation of art practice and the realisation of ‘artist’ as a full time career was a remote province for the working class or lower middle class painters working in Europe at that time. Many artists whose work could be considered key in the development of the early modernist movement such as Paul Gaugain, Paul Cezanne, Vincent Van Gogh could have all quite easily fit into this restrictive term at stages in their careers. 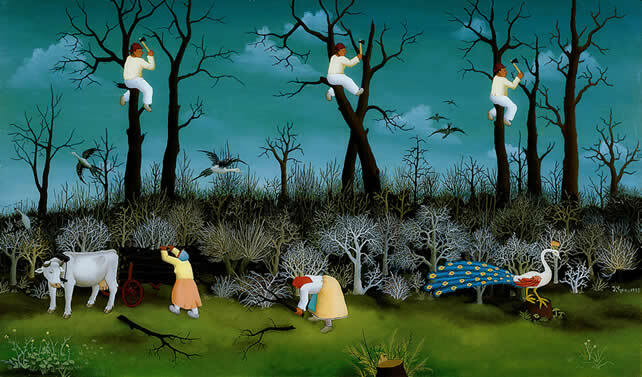 A painter of this ilk who worked in a curious quirky style and manner is the artist Ivan Generalic (1914-1992). A central figure in the Hlebine School, an artist school formed in the small rural peasant village of Hlebine in a remote part of Croatia. Most of Generalic’s paintings are done on the back of glass, a technique that he mastered over several decades and one that reflected his folk roots and craft traditions. In my opinion Generalic’s painting are a visual delight but also an inexplicable blend of the logical and the illogical, the personal and the universal, the poetic and the realistic. Oto Bihalji – Merin’s book Modern Primitives is a fascinating account of Naïve and Primitive Art made from the late 17th to the mid 20th century. It is no surprise that he devotes some considerable time to Generalic and also one of Generalic’s paintings graces the cover. Bihalji –Merin writes with great honesty and passion about his subject in an almost lost style that makes many recent art historical texts seem dry and unemotional by comparison. Here is some comments he made on one of Generalic’s most well known painting “The Woodcutter”. “ Instinctively or knowingly, the naïve peasant painter Generalic has made use of the principle of repetition in order to transcend the actual and visible event and to give his composition an air of symbolism through rhythmic variation. The peasant sitting on the tree swinging his axe is depticted three times as though in mirror images. The strong verticals of the tree trunks are balanced by the horizontal lines of the oxcart and the shimmering peacock which paces so pompously in the foreground. This is a study in simultaneity, one which echos an archaic artistic sensibility and folklore motifs, while at the same time expressing a modern blend of work and daydream. Virtuoso technique and the problematic of the compostiion are already signs that the naïve artist faces questions which are scarcely to be met with simple innocence, but which rather lead to a dramatic creative monologue.” – Oto Bihalji-Merin, Modern Primitives – Naïve Painting from the late seventeenth Century until the Present Day, Thames and Hudson (1971). This entry was posted in Outside the Pale and tagged Ivan Generalic on February 9, 2012 by painttube. 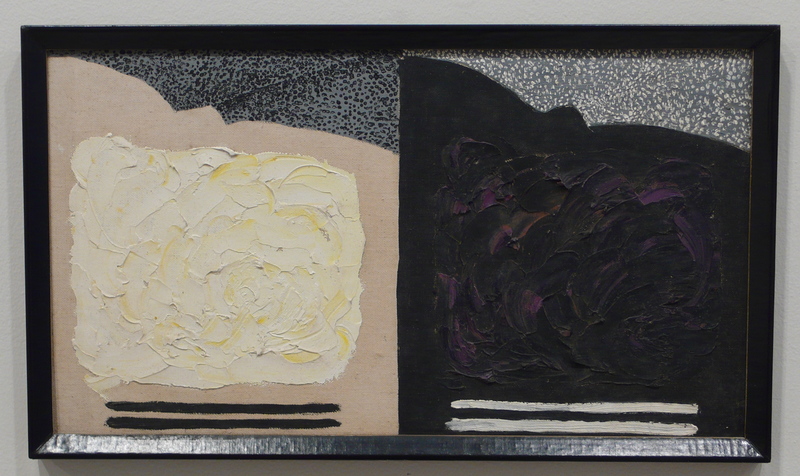 Thornton Dial, Stars of Everything, 2004, 98x101x20 in. The art of Thornton Dial can make most contemporary painting appear contrived and precious. On discovering his paintings it becomes obvious that Dial does not simply decide to ‘paint’ or make paintings … these are paintings that have to be made. The work controls the artist and defies him at every stage of the process. One can sense that when Dial is at work that anything can be used in the making process. It is conceivable that the shirt off his back or the shoes off his feet could be given a new role in one of his paintings. 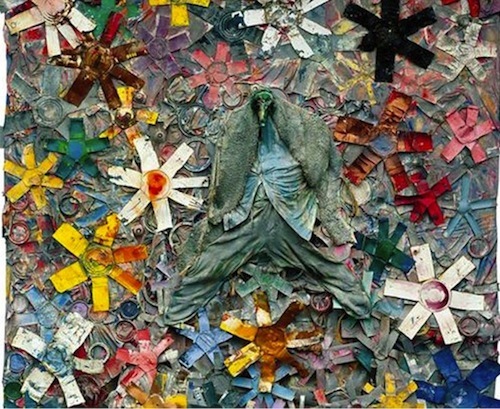 His expanded approach to painting has seen him use a diverse range of materials and approaches, to include: wall assemblages made from salvaged animal bones, plastic funeral flowers and toys. The 82 years old Alabama native is the subject of his first survey exhibition Hard Truths: The Art of Thornton Dial at the Indianapolis Museum of Art. This entry was posted in Outside the Pale and tagged Thornton Dail on July 22, 2011 by painttube. 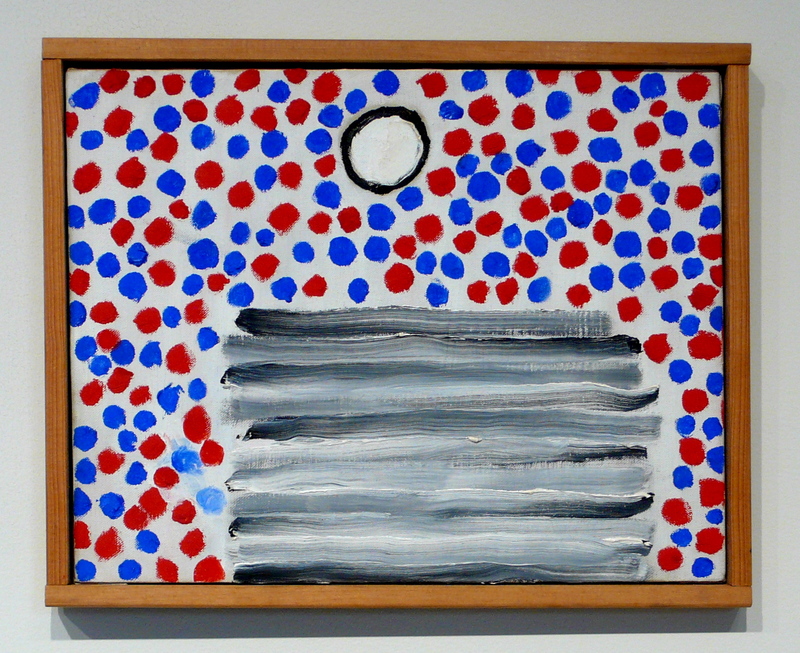 Many (Forrest Bess) images have to do with paranoia and violence. 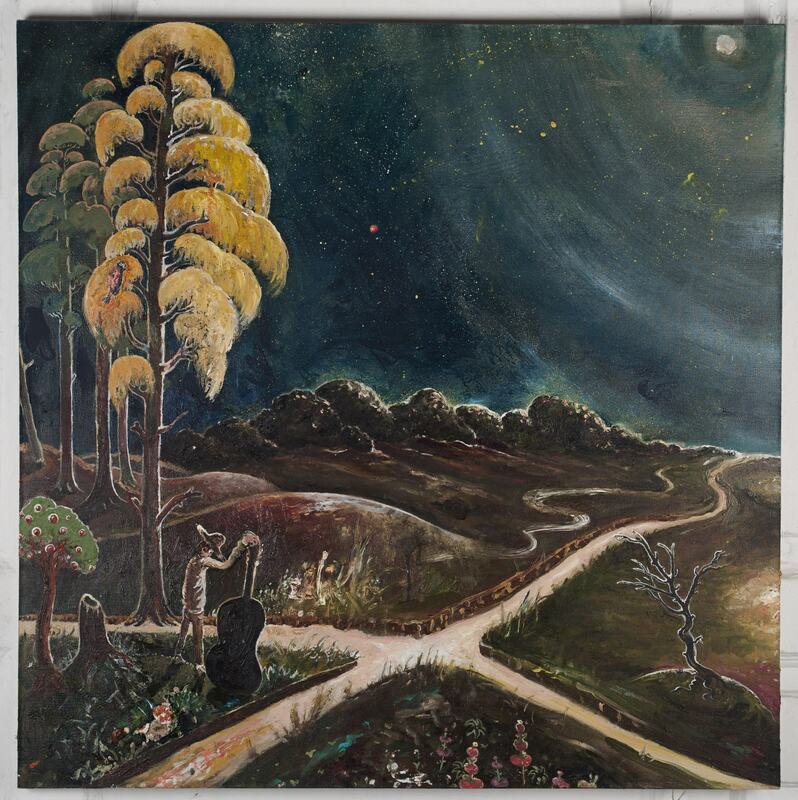 In a painting from 1957, railroad tracks rear up into a red sky, and the tail of the tracks is coiled like the rattle of a snake. In the 1959 ”Night Flight,” an army of crescent-shaped eyes flutter out of the darkness like moths. . .
Read all of this article by Michael Brenson, from The New York Times, 1988 here. More Forrest Bess images and links here. This entry was posted in Outside the Pale and tagged Forrest Bess on April 17, 2011 by painttube. 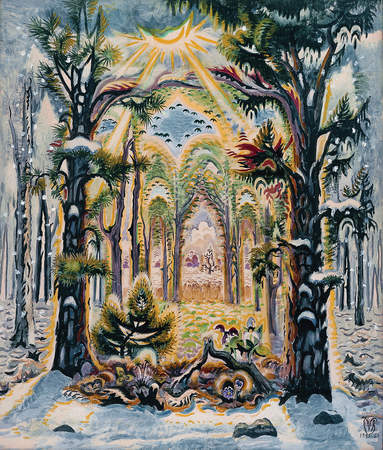 Surely some mistake to place Charles Burchfield in the Beyond the Pale category. After all he was hailed by Time Life magazine in 1936 as one of America’s 10 greatest painters. 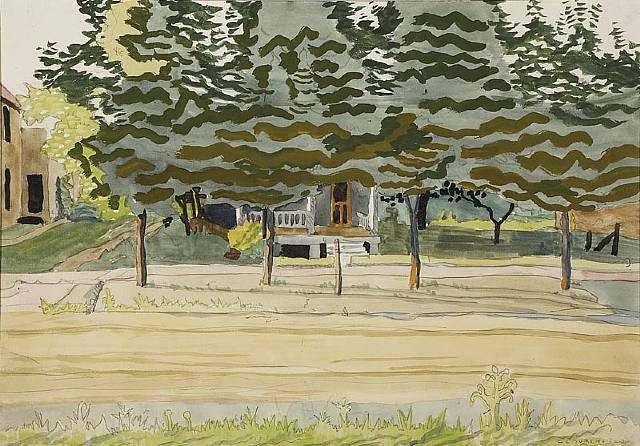 But Burchfield has been called a ‘visionary’ artist, and the museum named in his honour in Buffalo, talks about his ‘transcendental landscapes’. 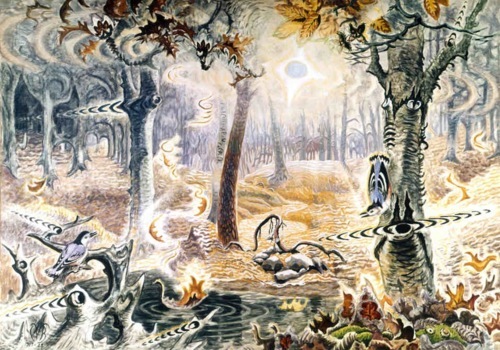 He was interested in depicting the sounds of nature as well as the purely pictorial and he thought nothing of showing all four seasons in a single image. He worked for many years supporting his wife and four children as a wallpaper designer. He was good at it and received constant promotion. But fearing that the wallpaper would drive him mad and that the arrival of baby number five might further restrict his art ambitions, he managed to find a dealer in New York. His work has been exhibited in the Metropolitan Museum of Art and recently a major show Heat Waves in a Swamp curated by Robert Gober for the Hammer Museum travelled to the Whitney. 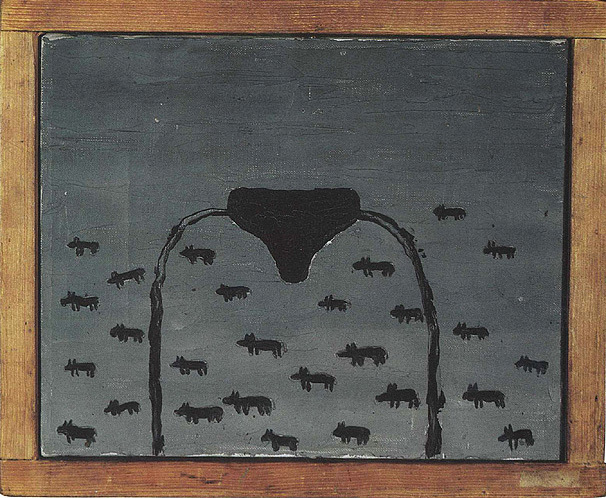 An interview with Robert Gober and Donna de Salvo can be found here. This entry was posted in Outside the Pale and tagged Outsider art, visionary on March 26, 2011 by painttube.